SOMERSET, KY - Congressman Harold “Hal” Rogers (KY-05) shared a legislative update during several meetings across the region last week, presented awards to community leaders and celebrated progress in several counties. On Monday, October 15th, Rogers joined Operation UNITE, the Kentucky National Guard and State Senator Robert Stivers to help destroy the Pill Dragon's one millionth pill. The mobile incinerator is used to burn unwanted or out-of-date prescription drugs as part of UNITE's "Clean Your Medicine Cabinet Out" program. The Partnership at DrugFree.org reports the majority of teenagers across the country admit they first abused prescription drugs found in a parent's or friend's medicine cabinet. Rogers also helped present a "Med Return Box" to Owsley County Sheriff Kelly Shouse so community members can drop off unwanted medications 24 hours a day, where they will remain under lock-and-key until the next visit from the Pill Dragon. “Owsley County was a part of history for our region's war on drugs. You and I can easily become 'accidental dealers' if we don't clean out our medicine cabinets and keep unused painkillers out of reach for potential abuse,” said Rogers. "Our entire region should celebrate this milestone, because it is a testament to how we can individually make a difference by doing our part to curb drug abuse." During the event, Rogers presented Kentucky National Guard Lt. Col. Bryan Howay with a "Hal Rogers Difference Maker Award" for his leadership at the Kentucky Joint Readiness Center in London, Kentucky and the Guard's long-standing partnership with Operation UNITE in the war on drugs. Lt. Col. Bryan Howay receives a "Hal Rogers Difference Maker Award"
Throughout the week, Rogers shared a legislative update with the Rockcastle Chamber of Commerce, the McCreary County Chamber of Commerce and the London-Laurel County Chamber of Commerce to explain how decisions on Capitol Hill could affect Americans the new year. With the country's debt totaling $16 trillion, combined with the looming potential for sequestration, large tax increases and the expiration of tax cuts for small businesses, Rogers warned that the government faces a fiscal cliff. "The only way to overcome the debt is to grow the economy," said Rogers. "All sides must come to the table and work towards a real solution that spends less, taxes less and grows the economy." 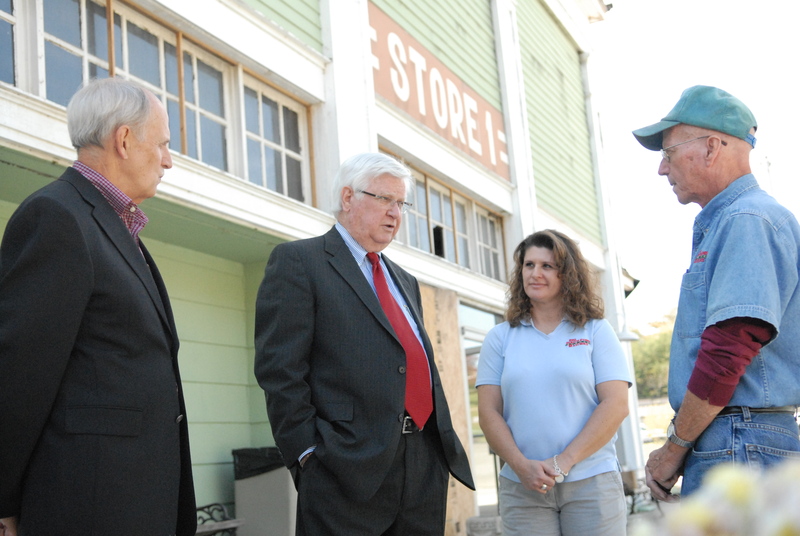 Following the McCreary County Chamber of Commerce meeting on Wednesday, October 17th, Rogers toured the historic Stearns Coal and Lumber Company building that suffered severe fire damage earlier this year. He pledged his support in rehabilitating the community's historic building. Nearby, Rogers also examined the restoration progress of a steam powered locomotive that will soon return to the Big South Fork Scenic Railway. He commended community leaders for their tenacity and perseverance to support the project until completed. During the London-Laurel County Chamber of Commerce meeting on Thursday, October 18th, Rogers presented State Senator Tom Jensen with a "Hal Rogers Difference Maker Award" for his long-time leadership in state government and his steadfast fight in the war on drugs. Sen. Jensen has served the 21st Senate District including Estill, Jackson, Laurel, Menifee and Powell Counties since 2004. Jensen is leaving his Senate seat to seek judgeship of the 27th Circuit Court. Sen. Tom Jensen Receives "Hal Rogers Difference Maker Award"
After the Chamber meeting, Rogers joined Laurel County leaders for the dedication of the James L. Rose Building on Main Street in London, which houses several local businesses. The honor is a result of the late "Jim" Rose's innovative leadership in business and passion for education. On Friday, Rogers wrapped up the week with two special occasions on the campus of Union College in Barbourville, Kentucky. Rogers recently submitted a tribute in the Congressional Record in honor of Kenneth Ramsey, a Trustee of the institution. Ramsey and his wife Sarah have celebrated historic success in Kentucky thoroughbred racing, but never forgot their roots in Knox County. 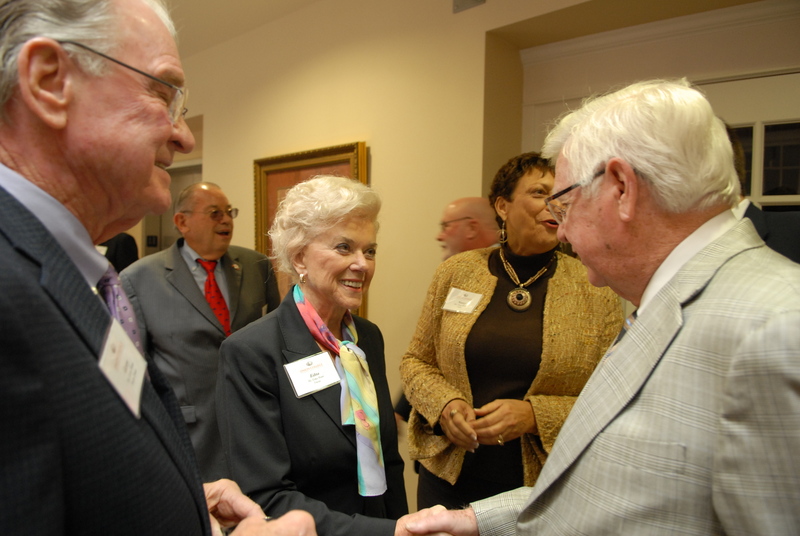 The Ramseys have donated their time and resources to promote progress at Union College and southern Kentucky. Rogers presented Mr. Ramsey with a framed copy of the Congressional Tribute. 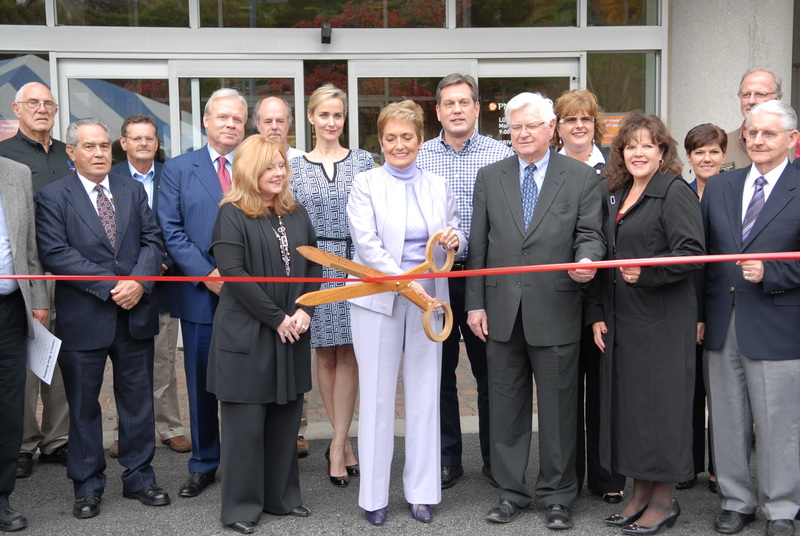 Rogers also joined Union College to celebrate the renaming of its nursing school in honor of Trustee, Edna Jenkins Mann. As an alumnae of Union College, Mrs. Mann pledged to raise the funding needed to re-establish a nursing school at Union College. Rogers commended Mrs. Mann for her vision and courage of conviction to return to our region to contribute her leadership for the much-needed nursing program in southern Kentucky.